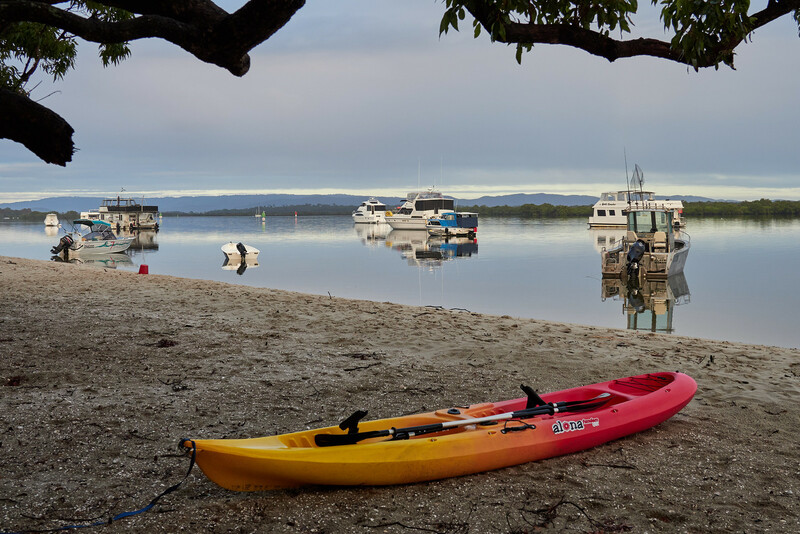 Early morning after the rain at Tipplers Resort, South Stradbroke Island, Queensland, Australia. Nice, how do you like the 12-100? I've been thinking about selling my 12-40 and getting a 12-100. I do like the 12-100 and have started using the E-M1 Mk II and 12-100 as my standard "go to" combination. I still have my 12-40 and was using it on the E-M1 Mk II while I was waiting for the 12-100 to arrive. It performed very well. I am now totally undecided about what I should do with it, especially as mine is a very good copy. For the moment the 12-40 sits on my old E-M1, which is my backup camera. I have heard arguments about why the 12-40 f/2.8 is better than the 12-100 f/4 for obtaining a shallow depth of field, but this can be countered with the 12-100 by standing further away and using the zoom. One other thing that I have noticed is that the combination IS between the lens and the body works really well. - I was sitting in the back of a friend's boat going through some fairly choppy water taking photos of jet-ski riders and was amazed at how sharply the photos came out. It is also great for taking photos of waterfalls without the need for a tripod or ND filters.